The Central Manufacturing Facility and Distributions Center allows us to ensure a steady stream of quality products through a network of Distributors. The "batch" nature of printing many orders together means that the cost of each order is reduced, and we are able to pass these savings on to you, the customer. 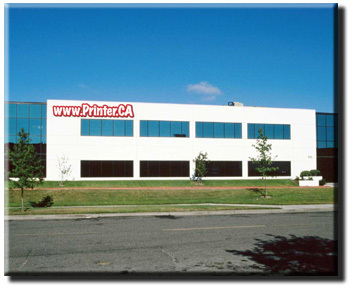 On any given day, your Local Distributor can send ten, twenty-five or more orders and still receive the same prompt turnaround time - this is the efficiency and adaptability of www.printer.ca. Using this method of production, our Distributors are able to focus on marketing and customer service, as well as improving their graphic design abilities. With more time alloted to the creation and proofing of your artwork, your documents can be better than ever before. Our Economy line of products are handled by the System, and can be ordered on-line. The System will take your input, create the artwork and give you an instant proof which you can then release to your local distributor for placement on the plant. For your standard stationery items; they are loaded into the order entry system and you will be able to view your forms (etc.) before ordering them. This ensures that the correct product is being ordered and produced. The extended working hours and state-of-the-art equipment in all departments, provides a level of infrastructure beyond the reach of a traditional local quick-printer. This ensures a quality product at a reasonable price. The Centralized Manufacturing Facility and Distribution Center have an ongoing expansion strategy that ensures a continued level of stable service. The production department utilizes PDAs to track jobs and keep the online system live with current information at all times. For more information please contact your local distributor.